'Trapped' is a short story written by Shirley Muir. It won the 2015 Crediton Festival short story competition. Shirley has very kindly allowed me to feature the story on my website. After the story, you can read about Shirley's experiences, detailing how she developed her writing over a 3 year period to the point that her stories started winning competitions. This helps to clearly illustrate how much work and effort a writer needs to put into their writing to start enjoying publishing success. Shirley's story also appears on the Credition Festival website. You can read it, and the other winning stories, here. This is the first guest post I've accepted for my website and I intend to accept more. If you've been published through a short story competition or magazine and would like to write about your experiences for my website, please visit my submission guidelines page. Unaware of the calamity unfolding in Square Wood, Maggie stirred the cauldron of thick vegetable broth. Her neighbour, Mrs Greenfield, was generous with her bread donations just when Maggie ran out of money and sensed the workhouse beckoning. ‘George is hit, missus. The ghillie got him. He must of known we wiz there. S-s-sorry missus. He’s outside on the barrer, hurt bad. Oh, them wee bairns. Sorry, God help us...’ Maggie fled upstairs, scooped up her girls and bundled them off through the front door with a brown carrier bag filled with their school clothes, to Mrs Greenfield. She would send them to class, no questions asked. She would withhold the gruesome details of George’s death from the girls, but Jack had to hear the truth. His father had striven to provide for them. And now Jack himself would have to put food on the table. At thirteen. Thank heavens for Jack’s pit job. Back home, Maggie covered her dead husband with a soft wool blanket, said her goodbyes and waited, numb. Doctor Mackay tapped on the scullery door and stepped inside. He took one look at George and raged inwardly. He knew there were too many cases like this, that the ghillie was trigger-happy with his shotgun. Murder was a step too far. But he kept his own counsel. And then she resolved that she herself would earn money to keep her family together. She would take in laundry. She had the mangle from the rag-and-bone man that George had renovated. She would use her poss-tub and poss-stick to clean other men's shirts and overalls. She would bleach and whiten other families' bedlinen and flat-iron them to perfection. The bleaching lye and the boiling water would redden and ruin her hands for sewing, but it was worth it. A week later at George's graveside, Ken stood firm as an anchor, his neck chafed red by the gleaming, starched white collar, his shoes shining. George was the younger brother he never had, a trusted friend for over twenty years, right from schooldays. Taken from them by the murdering ghillie. 'That man deserves a whipping,' Ken had simmered all week to anyone who listened. Ken cast the second handful of dirt over the coffin. Maggie, in her widow's long black coat and wide-brimmed veiled hat, had filled his fist with the dirt, and nodded to him that he had earned the right. ‘I’m here for them, George,’ he said quietly, and crossed himself after he scattered the dust onto the polished wood box in the grave. Next to Maggie, Ken’s strong baritone joined in 'Abide With Me' as the shovellers rained earth down with a clatter. Imperceptibly, Ken's hand slid into the folds of her coat and found Maggie's small, black-gloved hand. Tears glistened on her cheeks and her eyes looked straight ahead, but her mouth lifted slightly at the corners. After a career writing technical materials for the engineering, pharmaceutical and oil industries I retired in 2012 and decided to try writing fiction. I have a degree in molecular biology from Edinburgh University and I delight in calling upon scientific topics to insert into my fiction. I live in East Lothian, Scotland and am fortunate to live in the area where Tyne and Esk writers have an immensely effective network for supporting writers. I am a member of the North Berwick writers’ group and my fellow members are creative, amusing, helpful and experienced in critiquing short fiction. In 2015 I achieved my first short story competition win and my first story was published in an anthology. I submit my stories to magazines and competitions and I am also submitting creative non-fiction to UK publications. But I never stop learning and I am grateful to everyone who has given me their time and their opinion to help my embryonic fiction-writing career along the way. My blog charts some of my progress and reminds me how far I have come and how much further I have to go. My blog is called Writings from Fidra. My success at the inaugural Crediton Short Story competition in July 2015 was THE high point in my recently-begun fiction writing career. I found the competition details under the Writing Advice tab on Christopher Fielden’s useful and detailed web site. After thirty years of writing industrial, financial and marketing literature I retired and moved away from Aberdeen. A molecular biologist by training, my background offered nothing to suggest I would be able to competently write short fiction. But I wanted to try. My new life in East Lothian presented me with a blank page on which to write a new chapter. 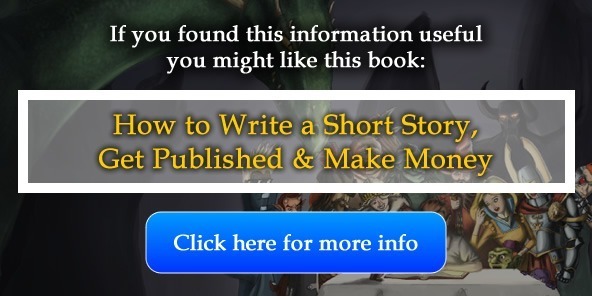 It was a while before I could even consider the idea of entering a short story competition. I decided that the only way to get going was to ‘write what you know’. This later turned out to mean ‘start with memoir’. Having dabbled in 2012 by writing a few pieces of ‘fiction’ that were really memoirs of mine, I realised that my writing skills would only improve if I knew what I was doing. If I couldn’t be good at it I didn’t want to do it. I could always knit. By May 2013 I had created a small portfolio of stories and I produced the first draft of the story that was two years later to be my first winner. I called it 'His Last Victim' and it was 928 words long. In August 2013 I learned that the story was unsuccessful in yet another competition I had entered and I was disappointed. But my writing wasn’t actually good enough to win anything. In early 2014, believing my writing was now sufficiently good enough to take the plunge, I was trawling the internet for competitions to enter and magazines who might want submissions. Finding Chris’s site listing hundreds of competitions – in the UK and elsewhere – made me feel like a child in a sweetie shop. So many to choose from. I found his filtering into sections like regular, annual, and prestigious very useful and it helped me to choose the right contests. Deciding to pick minor targets first led me to UK competitions with low or no entry fees, and smallish prizes. One such competition was run by Henshaw Press. A year later, in June 2014, I learned that I had won second prize in the Henshaw Press quarterly short story competition with my gritty story 'Time to Flee' about an abused woman of seventy-nine. I was delighted. That same month I also won second prize in The River, a local competition in the North of Scotland. My writing buddy and I both entered and we came joint second, our very first competition placements. In August 2014 I edited 'His Last Victim' and entered a revised version called 'Trapped' in the Writer of the Year competition. It failed again. The revisions had made it about 90% different from the first version, submitted a year earlier. I continued to consult Chris Fielden’s site for opportunities. I drew up a spreadsheet of upcoming competition deadlines and stories that I'd completed ready for submission. I also began to send feedback to Chris Fielden. I realise that some competitions only last one year and some fold without informing people. I know how important it is to find accurate information online about forthcoming competitions so I conscientiously report back to Chris if I find a competition link that isn’t leading anywhere for whatever reason. Or if I hear of a new competition that Chris isn’t yet listing. In November 2014 my writing buddy and I met up in Aberdeenshire to spend the book tokens we had won in the River competition. They had to be spent in a specific bookshop – the one which had sponsored the competition. A book caught my eye. It was by James Robertson and was called 365. He had written 365 stories, one a day for a year, and each was 365 words long. We were fascinated and we both bought the book. On November 12 we both embarked on our own 365 projects and by the beginning of January 2015 we had drafted just over 50 stories each. We had long since dropped the requirement for the story to be 365 words long because that was counter-productive to our writing plan. But there was a catch. We spent so much time creating new stories we were starving ourselves of time to edit, finish and submit stories. We agreed to spend January 2015 editing and finalising some stories from the treasure trove we each had created. But in fact we have never needed to go back to add more to the ‘365 project’. Our stashes of stories, plus a few more created along the way in workshops and for specific competitions, have kept us busy for the nine months since then (it’s October 2015 as I write this). 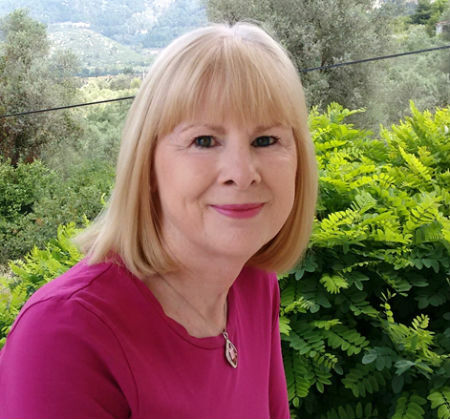 In March I also engaged a new mentor, the author and poet Claire Askew, who had run a series of 6 intense 2-hour workshops on writing that I found so useful. As a result of her coaching I resurrected 'Trapped', edited it lightly and submitted it to the Crediton Short Story competition. And it got short-listed. I was ecstatic when the short list email came through on my smart phone. I was eating dinner with friends on the Mediterranean – in Fethiye, Turkey. We had a little celebration at my success. Two days later I missed a phone call from the organisers and had to wait an agonising three days before I was back in the UK and could return the call. I had won. I think the moral of this story is: ‘if at first you don’t succeed, keep editing, keep learning and sending stories out’. I was encouraged by my fellow writers that this particular story was worth editing and submitting because it was basically a good tale and was one of my best pieces of writing. It’s October 2015 as I write this and I have made 33 submissions to magazines and contests this year. My success rate is very low but I have been in the newspapers twice, I have won a first prize, a number of my stories have been published online, and one story has been tweeted by the competition organisers to more than twenty thousand people. Only last week the organiser of the Henshaw competition announced that he had published an anthology of past winners, and my story is included. My very first published piece. It’s a numbers game to a great extent, and also you have to select your target to match your stories in terms of quality, topic, grittiness, and length. In the past months I have been steered towards science fiction, and, as a scientist I am excited about a new genre so I am writing different material. And my portfolio is growing. And I’m still learning. Thank you to Chris for getting my stories in the right places at the right time. I'd like to say a big thank you to Shirley for writing this useful and informative post. If reading it has inspired you and you think you could write an equally useful post, please read my submission guidelines. I find Ms. Muir's account of her writing experience very inspiring and thank her for it. Unlike so many unsuccessful writers, she developed a plan and pursued it, including the investment of time and funds. Yes, there were successes and failures, but she kept to her plan, and I was very pleased to read that she was rewarded for her diligence and perseverance. This is one e-mail attachment that I am not deleting, as I do with hundreds of others. For me, the most difficult aspect of fiction writing workshops is the criticism that is essential, but one day I will get over that. Thanks again, Shirley, and here's wishing you continued success. Thanks, Frank. I'll let Shirley know you commented so she can respond. Thank you so much for your kind comments. You are so right that criticism, feedback and responding to others is essential to allow us writers to move forward. Comments and ideas on one's own writing ensure that we are constantly aware that our writing is written for our readers. My writing is not for me, it is for others to enjoy. My journey towards my first competition win was a journey towards achievement and personal satisfaction. But the satisfaction came from knowing that others appreciated my work. I still experience many failures but I enjoy the comradeship of workshops and the support network offered by my writing group and my mentors. They keep me grounded. They assure me that my successes depend on my readers. And that I must grow and develop and keep moving forward to achieve any level of success. Thank you Frank, and may I wish you success in your own endeavours.